Do you remember our Silhouettes Storytelling? I have another book turned into evening activity! 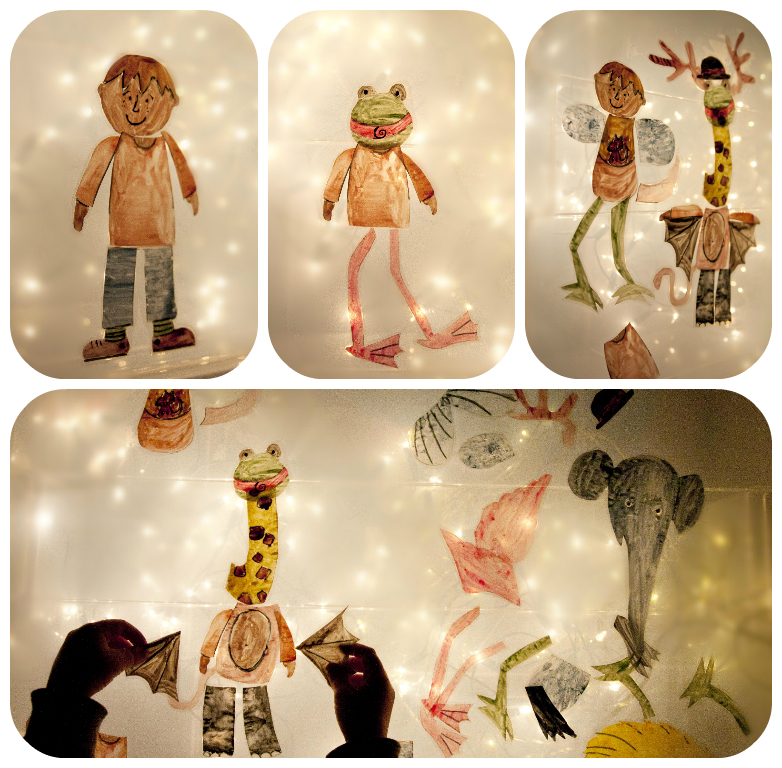 I love turning Mr Frog's favourite books into activities to let him rediscover the well-known stories. 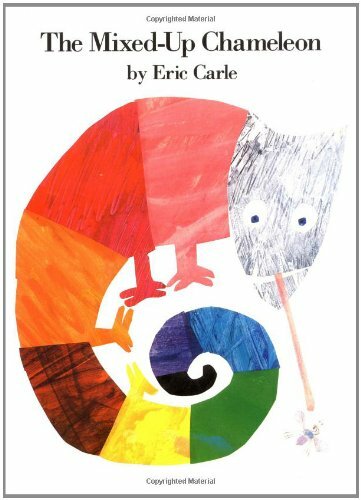 "The Mixed-up Chameleon" by Eric Carle is one of his "best of the whole wide world" books. 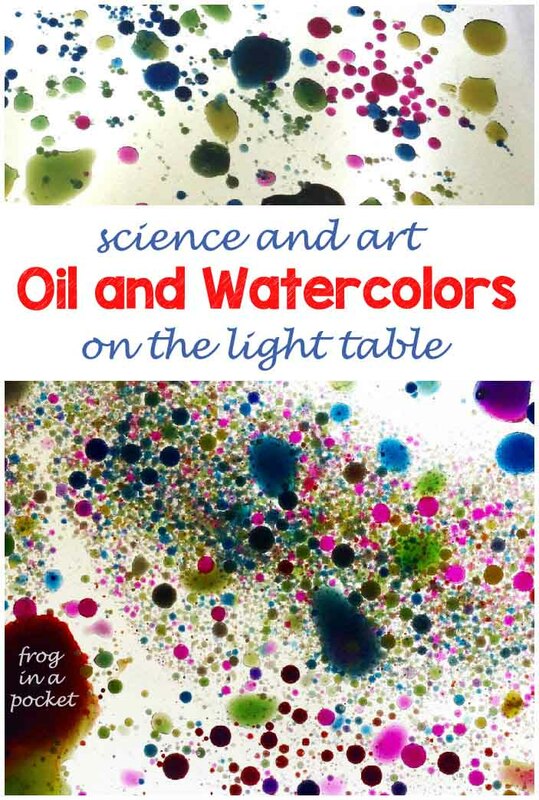 This one book is perfect for lightbox activity - colorful and bright. 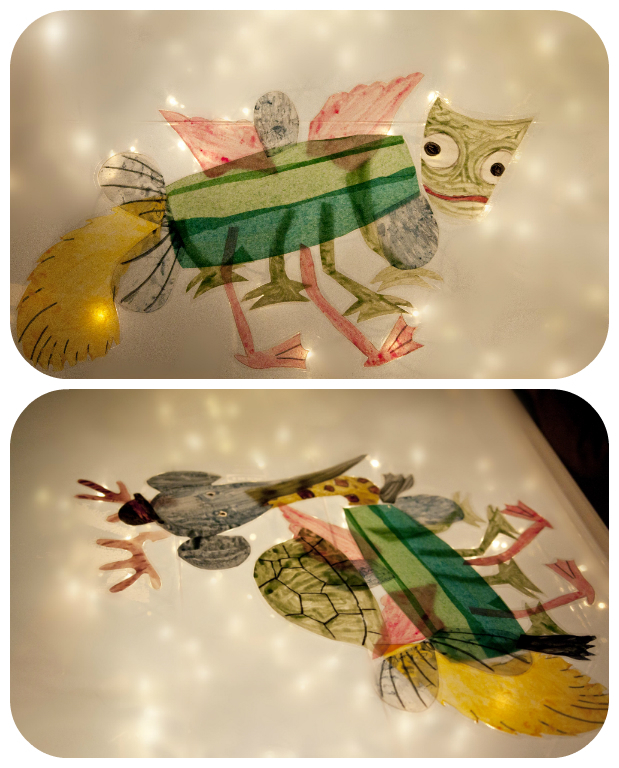 I used tracing paper to copy the pictures from the book. Then we painted them using watercolors and I laminated each piece. Mr Frog arranged the mixed-up chameleon while I read the story. I also found two great online applications that matched perfectly into our evening activity. So next day we tried Build Yourself Wild (Mr Frog had so much fun changing yourself into mixed-up animal!) and Switch Zoo (mixing animals' body parts to make completely new animal - great fun). Labels: Evening Play, Light Table, Literacy. So lovely! We have this book...I'd love to try the activity. Hello, Anik! I just discovered your blog. I love how dreamy these look. Thank you for sharing. You are so artistic! I love these! !